Used and working has long range antenna and FlyTrex live. Has 4 batteries that have set for a while at 50% with no use, since now I have P3. Batteries work but not can say if batteries last long time. 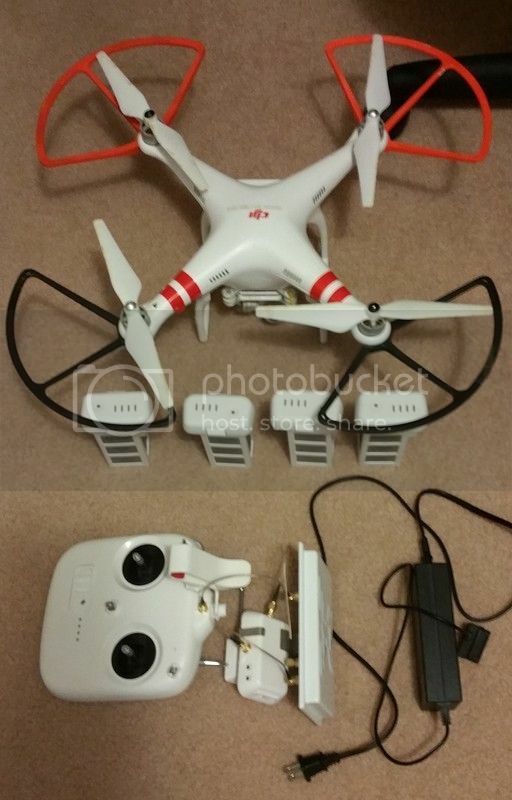 comes with charger and prop guards. This comes with and ItElite Antenna and a FlyTrex Live. This also comes with the Gimbal FIX. Range is over 1 mile.